Tomorrow (Friday 12 February) brings to a close the first public consultation on the introduction of the new 50p levy for all telephone lines in the UK. Introduced in the Pre-Budget Report in November, this "Landline Duty" will be enforced from 1 October 2010. Tomorrow's deadline is for commentary on the administration of the new tax. A second consultation, drawn up by the Department for Business, Innovation and Skills (BIS), closes on 1 April and will decide how it's spent. It's a good time, then, for TechRadar to look into exactly what this new charge is designed to achieve in terms of improving access to the broadband network, and who gets what kind of service now. Graham Wayne retired from his position as Chief Information Officer at software publisher Mastertronic Group about five years ago to develop a career writing. Since he moved to the small village of Hatherleigh in Devon, he's finished three books and runs a small IT consultancy to supplement his income. "Ironically, I've got the worst broadband service out of any of my clients," he laughs. "On average, I get about 800Kbps download. It gets a bit better than that at times, but it can be very flaky and drop to less than 100Kbps too." Wayne believes that his patchy internet service disadvantages him in two ways. First off, he says, is the issue of why should he pay the same amount for an unreliable, slow broadband service as someone just a few miles away that routinely connects at over 7mbps. More important, though, is the impact it has on his business. "Essentially, I have to organise my business around my service, rather than the service complementing my business," he explains. "It costs me money in the sense that every job I do can take me an extra two hours to download updates and so on for them." There's plenty of justification for using public funds to improve access to broadband in rural areas. "All the Post Offices are closing and they're encouraging you to do things like tax your car and apply for a TV licence online," says Rob Beadle, a part time teacher and IT consultant from Trevothan on the Lizard Peninsula in Cornwall. "There's the money you can save, too: BT will give you a discount if you go for paperless billing, and a lot of my customers have got children and grandchildren all over the world and use Skype and online video to stay in touch. For the majority of people now broadband is starting to be a way of life. You can save more than you spend on broadband just by shopping online for things like utilities and holidays." Beadle and Wayne both say that all of their customers that want broadband can now get it. Rather it's slow speeds and continuity of service which are the issue. BT reckons that around 15% of households can only connect at less than 2Mbps, and around 160,000 homes have no access at all via the Openreach network. What you may not realise is that the 50p a month Landline Duty is not being raised in order to help people like Wayne, Beadle and their clients. In last year's Digital Britain White Paper, most of which is currently undergoing parliamentary scrutiny as the Digital Economy Bill, there were two separate proposals which have become more or less conflated in the public mind. The first is the issue of connection speed. 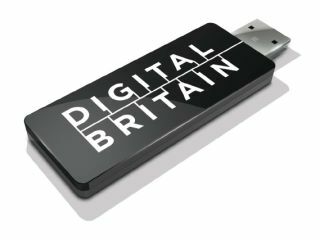 Digital Britain introduced a pledge for a Universal Service Commitment (USC), which will guarantee availability of 2Mbps broadband to 99% of the population by 2012. This is has been costed at £200m, and is being paid for by surpluses from the Digital Switchover fund. The USC will likely be achieved by by using the existing copper network in the most isolated areas, and technologies like Openreach's new Broadband Enabling Technology (BET). "Initial trials [of BET] in Inverness and Dingwall, Scotland have been very successful," a BT spokespereson told TechRadar. "With lines of between 7km and 12km running stable 1Mbps services. Where a second copper line is available, lines can be bonded together to provide a 2Mbps service."